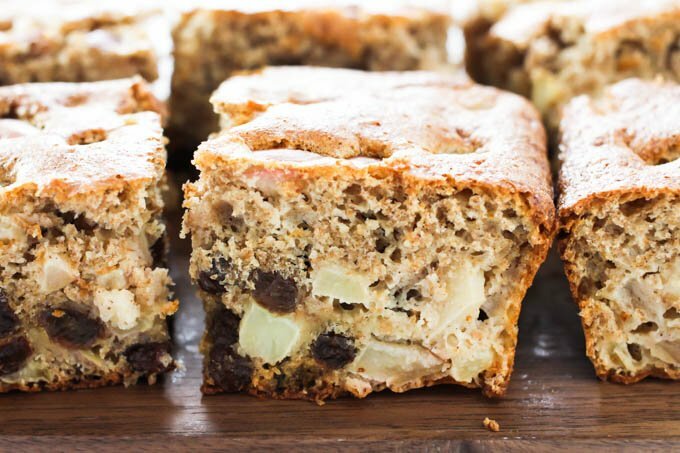 This Healthy Apple Cake is everything you’ve imagined. It’s moist, delicately sweetened with maple syrup and raisins, and, of course, there is just the right amount of cinnamon. 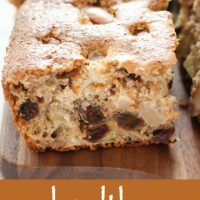 Serve it as a coffee cake for a Sunday brunch or take it to work and have it as a snack. This recipe is very easy to make. 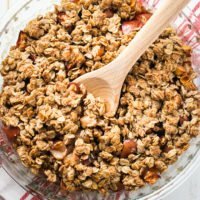 All you need to do is mix the dry ingredients, mix the wet ingredients, beat the egg whites, chop the apples and combine everything together. Then transfer the batter to a baking pan and bake to perfection for about 45 minutes. 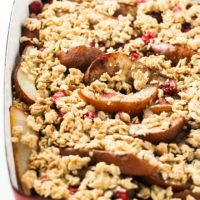 You can use any type of apples to make this healthy apple cake. 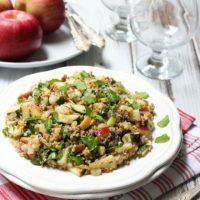 If you choose a soft apple variety such as McIntosh the apples will cook through much better than if you use firm apples. But they will taste just as good. There is no need to peel the apples. I usually keep the skin on because there are a lot of nutrients and fiber in it. 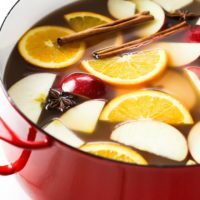 Just make sure to wash the apples thoroughly under hot running water in case the apples are covered with wax. A good vegetable brush is also helpful. Making an apple cake is a great way to use apples that are starting to go bad or dry out. In this case, make sure to remove all the brown spots. 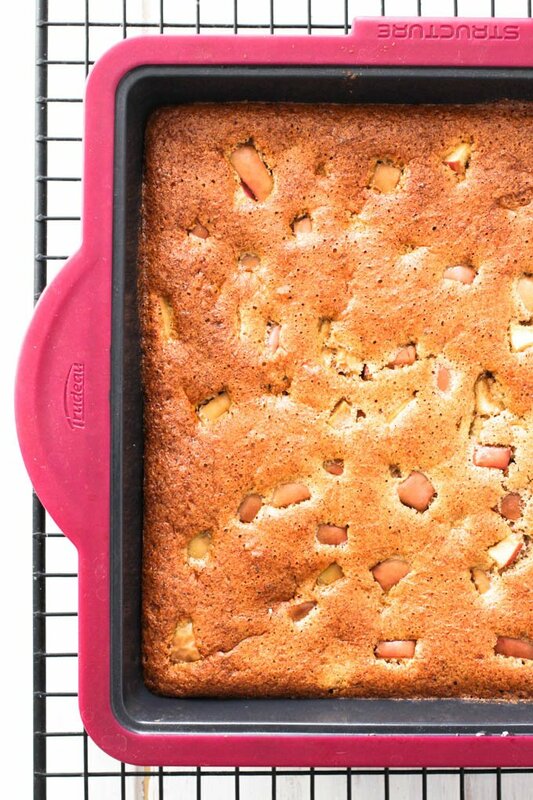 This healthy apple cake is made with whole spelt flour. I much prefer spelt flour over whole wheat flour because it has a milder flavor. When shopping for spelt flour for this recipe make sure it’s whole spelt flour and not white splet flour. 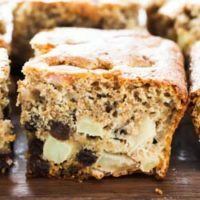 This apple cake is sweetened with maple syrup and raisins. If your raisins are large, chop them a little bit with a knife. 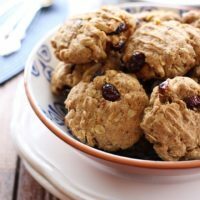 When mixing the raisins with the batter, make sure they are distributed equally because you want to have an equal amount of raisins in every slice. This recipe works with any type of milk. You can use regular cow’s milk or your favorite non-dairy milk. Make sure that the olive oil you are using for this recipe has a mild flavor. This recipe will also work with coconut oil. How Long Does This Healthy Apple Cake Keep? The cake keeps pretty well in the fridge in a glass container with a tight lid. If you serve it out of the fridge, make sure to warm it up slightly before serving especially if you make it with coconut oil. 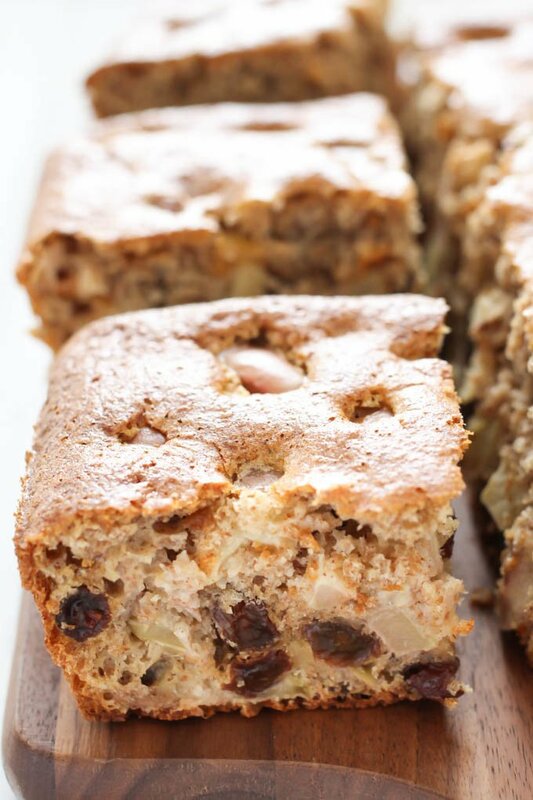 This Healthy Apple Cake with Cinnamon and Raisins is delicious and very easy to make. 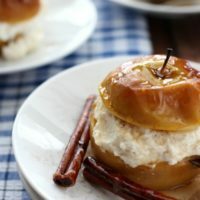 It’s a great alternative to an apple pie or an apple tart. This recipe is made with whole spelt flour and is refined sugar free. The recipe is for the 8X8-inch baking pan. In a bowl, combine the dry ingredients – whole spelt flour, baking powder, and salt. Mix to combine. Separate the egg yolks from egg whites and place them into separate bowls. To combine the wet ingredients, add the milk, olive oil, maple syrup, and vanilla extract to the egg yolks. Whisk to combine. Slice the apples into small dice. Sprinkle them with cinnamon making sure it evenly covers all the apples. Beat the egg whites till soft peaks with an electric mixer. Combine the wet ingredients with the dry ingredients and mix until smooth. Add the raisins and mix to make sure the raisins are distributed well in the batter. Add the egg whites to the batter and gently mix with a spatula until the egg whites are incorporated into the batter. Transfer the batter into a square 8X8 inch baking pan. (Oil the pan with some oil if needed). 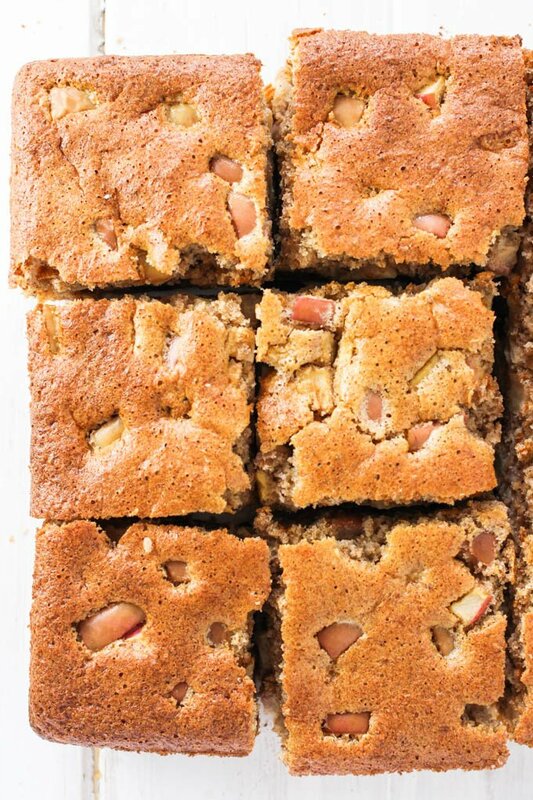 Bake the apple cake for 45 minutes or until a toothpick inserted into the middle of the cake comes out clean. When the cake is done, take the baking pan out of the oven and place it on the cooling rack. Cool until the cake is just barely warm. Take it out of the baking pan and let it cool completely on the rack. Keep it in a glass container with a tight lid in the fridge for up to 3 days. Warm up slightly before serving if the cake is out of the fridge. Nutrition information is a rough estimate for 1 out of 9 slices calculated for the healthy apple cake recipe made with almond milk. This post was originally published on September 16, 2014, and last updated on March 6, 2019.